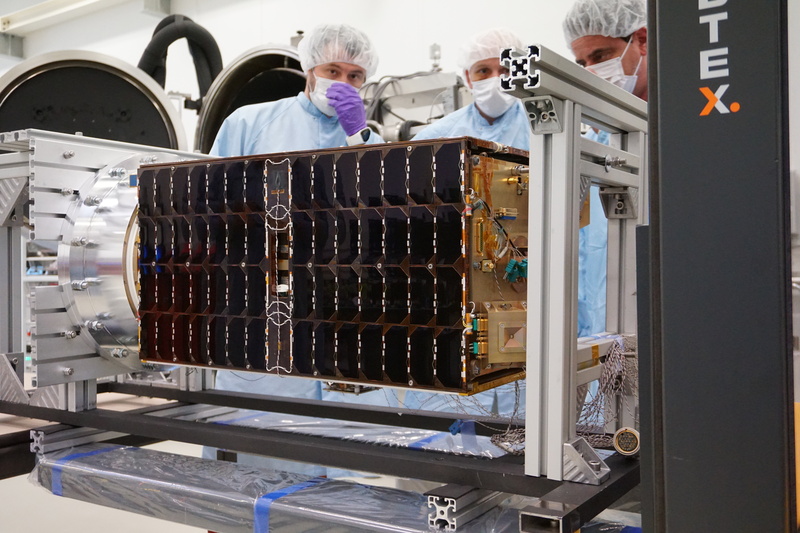 ESA reports the European Student Earth Orbiter (ESEO) has concluded its test campaign. 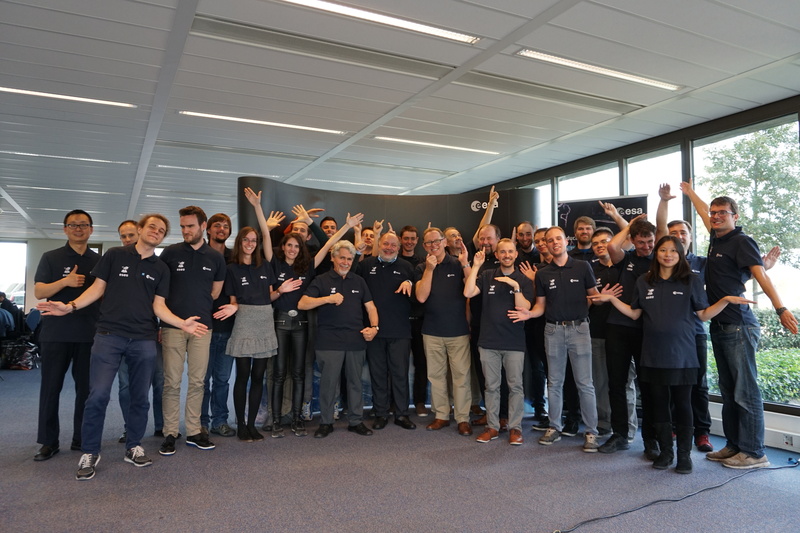 The ESEO student teams gathered in the Netherlands, October 18, 2018 for a last precious lesson before the satellite is launched. ESEO carries an amateur radio 1260 to 145 MHz FM transponder and a 1k2 and 4k8 BPSK telemetry beacon developed by AMSAT-UK members. 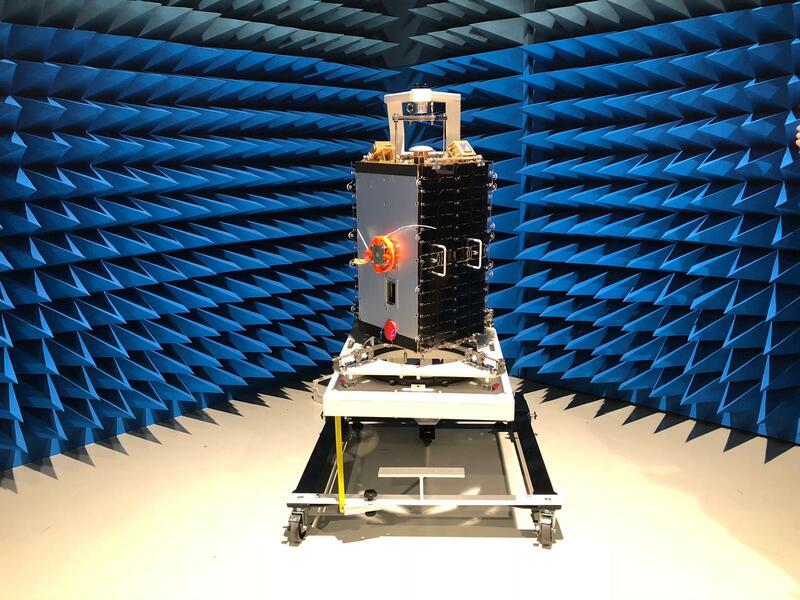 The satellite has been at ESA’s ESTEC test facilities, in the Netherlands, where it completed the last steps of a thorough satellite test campaign which had started in August 2018 at SITAEL’s facility in Mola di Bari, Italy. Learning by doing has already proven an amazing experience for the ten university student teams from different European universities who have designed and built the instruments and several key subsystems of the ESEO satellite. On October 18, at a dedicated workshop, the ESEO students had the additional chance to hear first-hand what it takes to run a satellite test campaign – trouble shooting included! “In the space sector no satellite could ever be launched without a thorough tests campaign”, said Piero Galeone, coordinating the ESA Academy programme of which ESEO is a part. “The reason is that – as perfect as your satellite design and manufacturing process can be – the devil always hides in the details. If there is anything to be fixed, you want to know it and correct it before the satellite flies on its orbit hundreds kilometres from the surface of the Earth, beyond the reach of any engineer’s hands”.